Benefits of Health Care | Home Health Care in PA | Progressive Health, Inc. Discover how home health care can benefit you. Do you want to know why Progressive Health, Inc. will make the best partner in your personal goal of achieving overall health and wellness? Our institution has developed long-term experience in the industry, garnered accreditations from several state-wide organizations, and was able to maintain a long list of clients, too. Get comfortable and personalized healthcare right inside your residence. Be flexible with timing. Caregivers and professionals can visit you whenever convenient. Enjoy more rates…much lower than institutionalized healthcare. 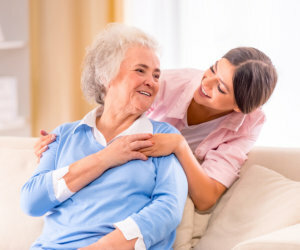 Be more attached with your caregiver. We can assign specific professionals for you to promote more connection. Most insurance plans are accepted. You may call us beforehand to check your policy eligibility. Know more about the privileges and pros that the Progressive Health, Inc. brand of health care can provide. Call us at 610-789-1001 or meet with us to get more insights.